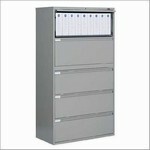 Quality filing and storage solutions to meet any budget or application. All filing we offer is commercial grade construction and available in many sizes and colors. In stock for quick delivery! Looking for medical files that are HIPPA Compliant? We have medical files that meet HIPPA compliance to meet just about every budget and/or space requirement. All of the medical files we offer are commercial grade quality. Pedestal files are an affordable, high-quality solution for under work surface storage. Stocked in both box/box/file and file/file versions, these files are available in numerous colors and depths to accommodate your filing needs. 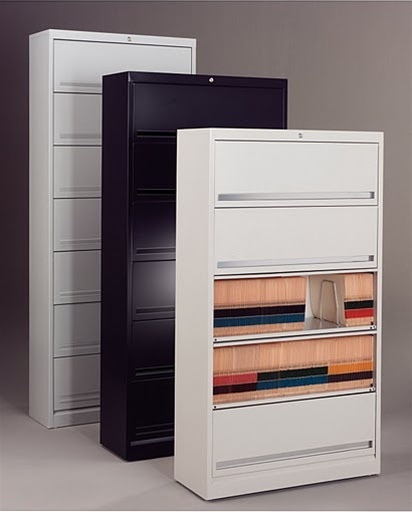 Every office has a need for a Quality Storage Cabinet. Available in commercial grade steel with locks that are standard, the storage cabinets that we offer have adjustable shelves. Choose from 42" or 72" high, along with many paint colors to match your office decor. Ideal for archive storage or storage of engineering drawings, the Plan Files and Flat Files that we offer are made from commercial quality steel. These cabinets can bolt together for stacking and are available in many sizes and colors.